Azure Striker Gunvolt is due out sometime this summer. Keiji Inafune met with Inti Creates CEO Takuya Aizu earlier today to discuss a few items pertaining to Azure Striker Gunvolt. According to the game’s official Twitter account, Gunvolt will be modified in the US version once again so that the character’s braided hair will be kept in tact. This was originally removed from the Japanese version – as shown above. According to Inti Creates CEO Takuya Aizu, the studio is still working on the character design for Azure Striker Gunvolt. 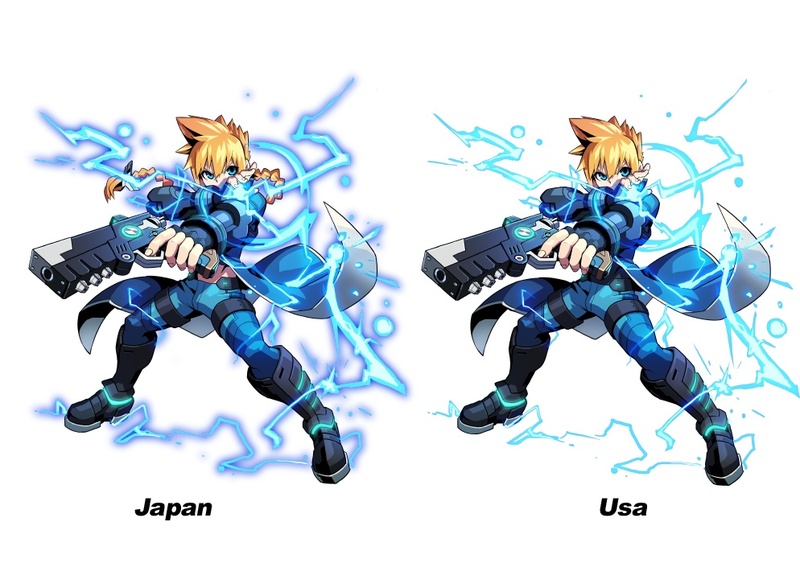 Some noticed that some changes had been made to main character Gunvolt in the North American version. Basically, the western design drops his bare midriff and ponytail. It’s not much, but some feel that no changes should be made. Can you spot the changes in the graphic above? The two are mostly the same, though the North American artwork features a shorter hair style and a slightly more conservative outfit. We had previously heard that Azure Striker Gunvolt was tentatively slated for a summer launch in North America (in addition to Japan), but that’s now been made official. Inti Creates CEO Takuya Aizu confirmed to Siliconera that the title will in fact be available in the states this summer. A European release is also being considered, though it would likely come later given how the game will need to be localized into several different languages. – The Sumeragi Group has brought peace and order to the world. Siliconera has another round of Azure Striker Gunvolt details translated from a report from 4Gamer. You’ll find them rounded up below. 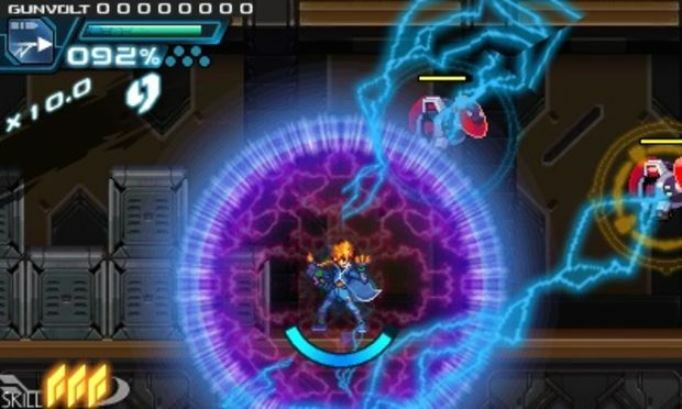 Azure Striker Gunvolt is playable at BitSummit following its announcement today. Destructoid got some hands-on time with the game and shared a slew of details. You can find them rounded up below. Also be sure to check out Destructoid’s article here.